Not that I need a reason myself but experience has taught me that just stopping to look at things without a camera, for example to paint scenes in my head, tends to cause problems that somehow the presence of a camera explains away. 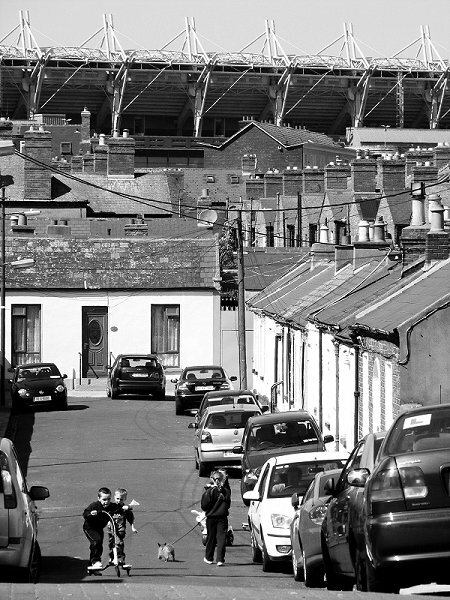 From the North Strand, just beyond the canal, this is Croke Park. Should I ever actually paint this scene, or one close by, forgive me if I leave out the clutter of cars. gR8 foto! (an’ yeah… forgiven) - absolutely luv the text that goes with, bordering on the absurd, it’s a joy to read an’ made us laff! - thanks!